That’s the common rallying cry for Tuesday’s elections in Israel, but few opponents are offering real alternatives. Only the Joint List is directly addressing the crisis in Arab-Jewish relations. It is unlikely the address, which dominated headlines in Israel but stirred far more controversy in the United States, will play a significant role in Israeli voters’ decision at the ballot box tomorrow. Netanyahu, who seeks a third consecutive term and a fourth in his political career, has not benefited from it—final polls taken Friday show that his Likud party is losing popularity and is now behind his chief opponent, the Zionist Union, by four Knesset seats. There are plenty of other reasons for Netanyahu’s declining popularity, among them, a state comptroller report on his and his wife’s lavish spending, another one outlining his failure to address soaring real estate costs, his recent campaign video comparing labor unions to Hamas militants and leaked documents indicating his willingness to withdraw to the 1967 lines in the framework of covert negotiations conducted with the Palestinians in 2013. Likely fearing this last piece of news would allow parties to the right of him to poach seats from Likud, Netanyahu told an Israeli paper today that if he was re-elected, there would not be a Palestinian state. He thus effectively recanted his 2009 Bar Ilan speech, in which he’d said he supported a two-state solution to the conflict. Now Netanyahu’s rhetoric finally matches his policies. The Zionist Union, headed by Labor’s Isaac Herzog together with Tzipi Livni, who served as justice minister and chief negotiator in the outgoing Netanyahu government, have been marketing itself as “not Netanyahu.” The party’s primary campaign slogan is “It’s us or him” (while Netanyahu’s has been, in response, “It’s us or them”). The Zionist Union promises to restore Israel’s image and international standing by resuming negotiations with the Palestinians and showing more respect for Washington. The party appeals to those Israelis who seek a two-state solution to the Israel-Palestine conflict but appear content to continue the search without actually achieving any results. On specifics, the Zionist Union isn’t willing to cede East Jerusalem and won’t discuss the Palestinian right of return. Herzog recently said Netanyahu didn’t deal Hamas a hard enough blow in Gaza and called the Palestinian appeal to the International Criminal Court a unilateral offensive against Israel. After six consecutive years of Netanyahu, the Zionist Union’s commitment to the “peace process” may appear to be refreshing, but the promise of never-ending negotiations with no real hope of ending the occupation isn’t all that different from Likud. Israelis surveyed also consistently claim that their primary concern when voting is the cost of living, which became a central issue in the previous election, following the 2011 tent protests, when hundreds of thousands of Israelis demonstrated for weeks. A government survey last June found that four in ten Israelis are not able to make ends meet, and 47 percent are not satisfied with their economic situation. 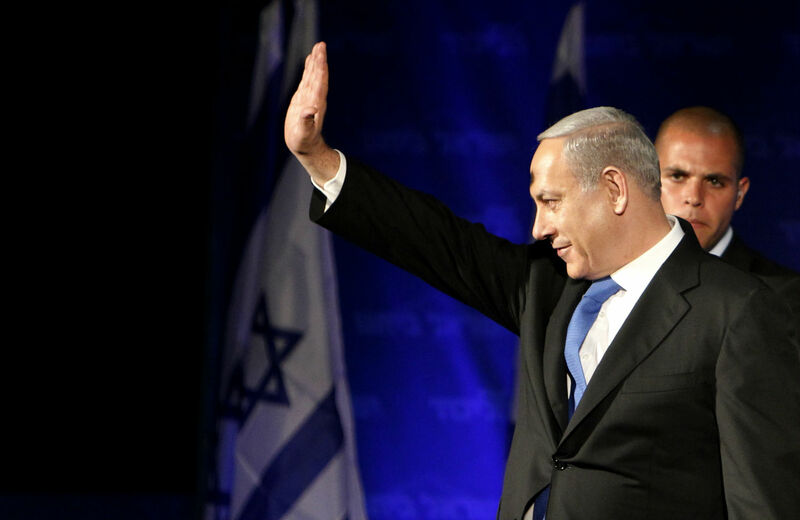 During Netanyahu’s six years in office, housing prices have risen 56 percent. Labor MK Stav Shaffir, who was one of the leading organizers of the 2011 protests, is number four on the Zionist Union slate and the youngest woman ever to serve as a Knesset member. A recent speech she gave in the Knesset attacking the right for allocating funds to the settlements went viral. “Don’t preach to us about Zionism, because real Zionism means dividing the budget equally among all the citizens of the country,” she said. “Real Zionism is taking care of the weak.” The slate also includes former Labor head Shelly Yacimovich, who made social welfare her sole agenda in the previous election, while disregarding the Palestinian issue. Many voters hope that these members will provide an alternative to Netanyahu’s economic neoliberalism, and in that context may also reduce the financial incentives provided to Israeli citizens living beyond the Green Line. A new party, Kulanu (“all of us” in Hebrew), formed by ex-Likud minister Moshe Kahlon—who made a name for himself by introducing competition into the cellphone market and sharply reducing monthly bills for Israelis—is campaigning solely on the cost-of-living issue. He has made fighting the bank and land monopolies his top priority, and while identified as a rightist, he has left open the possibility of joining a government led by the Zionist Union. Another new party that could upset the usual electoral calculations and is currently polling as the third largest is the Joint List—or, as many Israelis have been referring to it, “the Arabs.” It is an alliance between four parties—three Arab and one Arab-Jewish—formed against all odds and expectations just days before the deadline for submitting candidates in January. The merger between Islamist Ra’am, nationalist Balad, progressive Arab-Jewish Hadash and secular Ta’al, a first in Israeli history, was prompted by last year’s passing of the Governance Bill, which raised the threshold a party needs to enter the Knesset from 2 percent (three seats) to 3.25 percent (four seats). The law, co-sponsored by Yisrael Beiteinu’s Avigdor Lieberman—who champions the “transfer” of the Israeli Arab population and whose most recent campaign promise is to behead Palestinian citizens of Israel suspected of terror—was largely seen as a way to eliminate Arab Knesset members. The Joint List’s campaign slogan is “My answer to racism,” and its leader, Ayman Odeh, a member of the Hadash Party, insisted at a press conference in Tel Aviv last month that the reason behind the merger was not only to make the higher threshold, but the long-overdue need to combat racism, discrimination and physical attacks against the Arab minority in Israel, who comprise 20 percent of the population. Specifically, Odeh mentioned the need to be a strong legislative actor inside the Knesset to combat the Jewish Nation-State bill, which seeks to codify into law the state’s definition as belonging solely to its Jewish citizens, forgoing any explicit commitment to equality. Currently polling between thirteen and fifteen seats, the Joint List, which dubs itself the “democratic camp,” is the only party directly addressing the crisis in Arab-Jewish relations. However, it is likely that following this election, the parties, which represent a highly diverse and divided Arab society, will fall apart. Even if the Likud doesn’t garner the most Knesset seats, Netanyahu still appears to be the candidate most likely to build a ruling coalition in post-election negotiations, since more of the other parties—among them the ultra-Orthodox Shas and hyper-nationalist Jewish Home—will recommend him over Herzog. This was the case in 2009, when Tzipi Livni’s Kadima Party won the election, but after she failed to form a coalition consisting of at least 60 out of the 120 Knesset seats, the premiership went to Netanyahu. This picture could change if the Zionist Union invites the Joint List to join the ruling coalition—something that has never been done in Israeli history—and assuming they agree. Both Herzog and Netanyahu insist they will not enter a national unity government, since they represent opposing ideological camps. But if they do, the Joint List would then lead the opposition. That means the prime minister would have to provide Odeh with regular briefings, even on such sensitive national security matters like going to war—an interesting scenario. Whatever happens, the fact that Israeli news broadcasts have been forced to discuss the Arab sector as part of the Israeli political landscape is already a game changer.